Aix-en-Provence is known as the city of 1,000 fountains. However, since the folks of this area have a reputation for exaggeration, we should probably take that with a grain of salt. The real number might be closer to 107… but still, they do have a lot of fountains. How Many Titles Does One Man Need? René of Anjou, also known as Good King René, was a very important man in his day. He had more titles than you could shake a stick at: he was the Count of Provence, Bar, Piedmont, and Guise; the Duke of Calabria, Lorraine, and Anjou; and the King of Hungary, Sicily, Aragon, Valencia, Majorca, Sardinia, and Jerusalem. This multi-titled man played an important role in Europe and rubbed shoulders with the movers and shakers of the time, so let’s do a bit of name-dropping. René’s mother financed Joan of Arc’s campaign to save France, and René rode right alongside the Maid of Orléans. Christopher Columbus mentioned René as giving him his first commission as captain. And the Good King is said to have inspired Cosimo de’ Medici to collect manuscripts from around the world and open the first public library, San Marco, in Florence. As if all that wasn’t enough, he was a patron of the arts as well as being a writer and artist himself. His gastronomical contributions to Provence include introducing the Muscat grape, to the region, and, according to legend, he was behind the creation of the calisson, a specialty candy of Provence. So when this accomplished King / Count / Duke was to finally be honored by a fountain bearing his likeness, what caused all the kerfuffle? In 1923, when the big day arrived, the area in front of the covered statue was filled with Aixois (people of Aix-en-Provence) anxious to see their new fountain (number 1,001?) which would pay homage to an important character in their city’s history. As the tarp was pulled off, people prepared to say “Ahhh” in appreciation… instead, however, they all burst into laughter. This is what they expected to see: the frumpy, old King they recognised from a painting in the church. And this is what they saw: A firmer, more defined version. The people speculated that since the statue had been made in Paris, that maybe the sculptor had been working on a likeness of Louis XIV and lost the commission. Then maybe, instead of wasting a perfectly good block of marble, he recycled it and called it Good King René. After all, René had already been dead for more than three hundred years, and he would have assumed that no one would know what he looked like. But, as it turned out, the people of Aix had a very clear idea what Good King René looked like. They saw him every Sunday in church. Right on the triptych in the cathedral was a portrait of the King and his second wife, Jeanne – and the new King René statue didn’t exactly look like the King René they knew from church. But the Aixois just had a good laugh and left it at that. To be fair to the artist, though, he was representing a young René, so of course, he would look different than the painting of the older, plumper René on the church triptych. 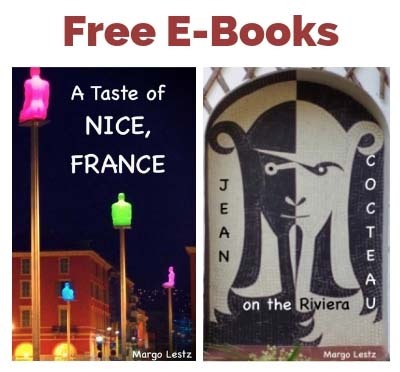 Whoever the man in the fountain really is, he holds a cluster of Muscat grapes which René introduced to the region, and he has books at his feet representing his intellectual interests. 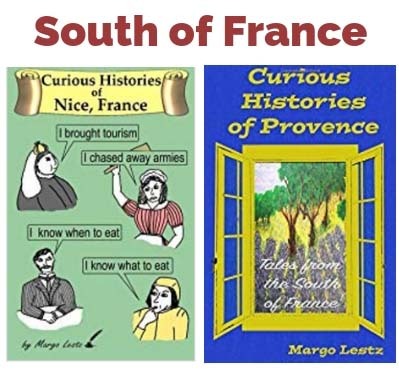 *You can read even more about Good King René and Provence in my book, Curious Histories of Provence: Tales from the South of France. *All images are either by me or in the public domain. Very interesting & off of the main stream of history and the footnote that this fact surely would have otherwise been left to. As was the practice with Kings of many nations, Roman Emperors & their even their more powerful counterparts, the Egyptian Pharaohs, they paid the artist and often “required” specific traits & characteristics to be included, or excluded, as their likeness to be immortalized throughout history. With his many social & ceremonial activities, Good King René/René of Anjou, must have had a great deal of likeness’ created of him, and for him. Because it, as was imagined, does not did not resemble him during his later years in life, does not mean he did not look like that. Thank you for all of you effort to bring these infomative and entertaining stories to life. Thanks for your comment. You’re right, it probably did resemble the king, but it just wasn’t what they were expecting – it made a funny story anyway. 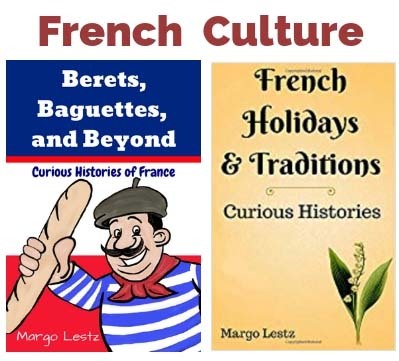 Margo, as always I enjoy your talent for weaving history into an interesting read. I can just imagine the Aixois having a little chuckle at the unveiling. Hi Carolyne, Thanks for your kind words. I’m glad you enjoyed it. Brilliant – it must have been great to live in the days before the photograph, when your image could be what you wanted it to be. LOL! I won’t be able to look at the statue the same anymore 🙂 Awesome and entertaining well researched article, as always. Thanks Margo!